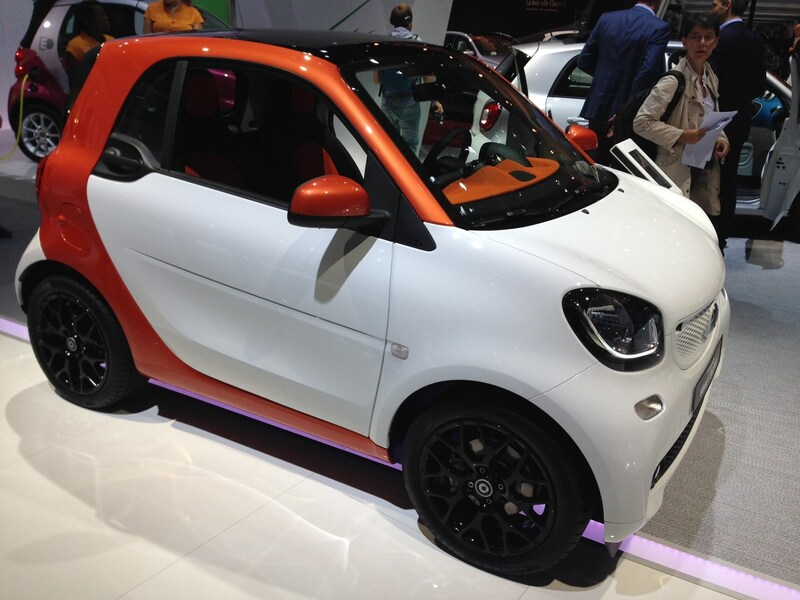 Big news on the Smart stand as the brand relaunches its two most well-known models. Set to go on sale in November, the Smart ForTwo is built alongside the Renault Twingo and shares its rear-engined, rear-wheel drive set-up. That means clever packaging has unlocked a very spacious cabin for such a small car. Small petrol engines are the order of the day here, with a pair of three-cylinder units on offer making 70bhp or 89bhp. Manual and automatic gearboxes will be available. Expect four trims and probably a number of special edition models, starting with the Edition #1 model launched with a two-tone orange and white interior. For more information, read our guide to the Smart Fortwo here. The ForFour shares a lot of the characteristics of the ForTwo above, but with the obvious addition of two more seats. It also has a single piece tailgate rather than a split-opening one on the two-seater car. 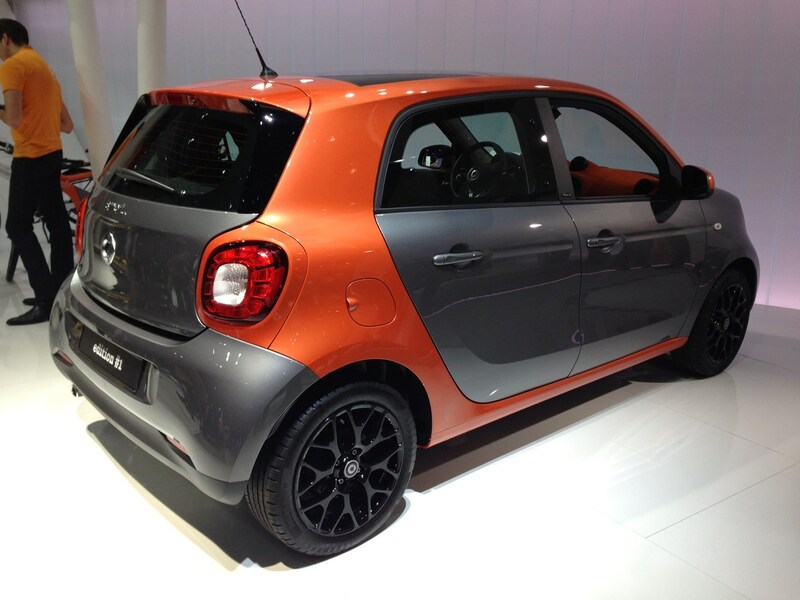 Read more about the Smart ForFour here.